The SURVIVAL Hybrid is a small powerhouse, designed for heating up to 1,000 sq. ft. It’s perfect for small houses, camps, cabins, or protection against power outages. Like our other Hybrids, it has both Secondary Combustion and Catalytic Combustion, so it has very low emissions (1.05 g/hr) and very vigh efficiency (79.4% HHV). 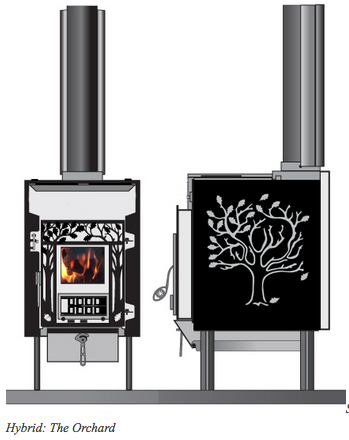 The combined efficiency and emissions make this a “top ten” performer among all woodstoves.